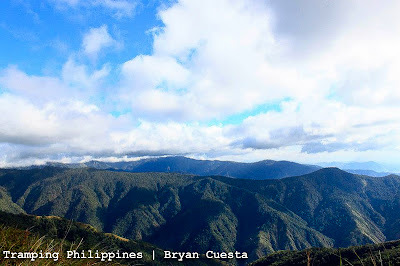 Exactly 1 year from the day we first climbed Central Luzon’s highest peak, we braced ourselves to what we thought would be the most gruelling day we could ever have: we set out our sights on climbing Mt. Tapulao within a day. 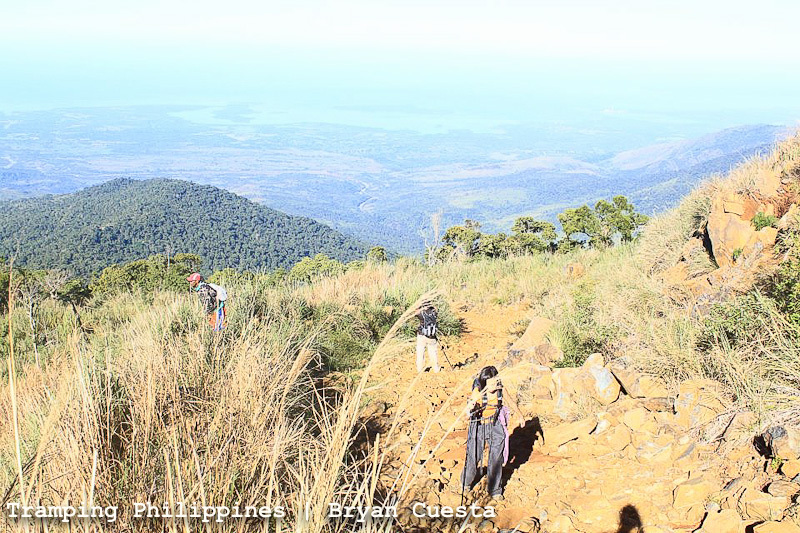 Underestimation was the misstep that made our last year’s Mt. Tapulao climb an excruciating experience. We were over confident and sure of ourselves. We were ignorant. There was one essential feeling that we categorically missed during the preparation of that trek. Today, it was absolutely existent. In my heart and in my mind, I felt fear. 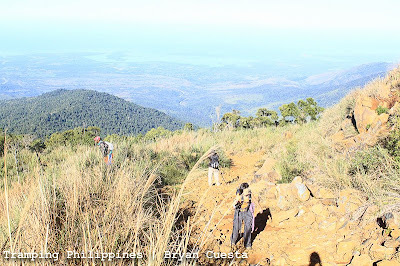 For 1 whole week before the climb, I was afraid. I dreaded nature brewing yet another storm that might likewise ruin this forthcoming adventure. 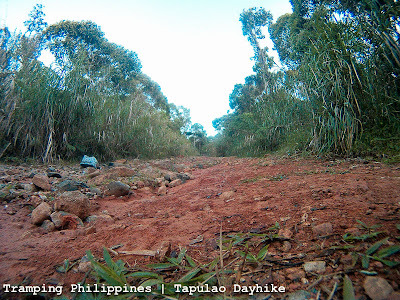 In our previous trip, astounding travails and mistakes mounted up, compelling us to spend 11 hours just to reach the campsite. We were over our weight limit, we didn’t have enough sleep the day before and the downpour was so intense I had to squint just to see 5 meters ahead. It was like a white out. This time, we were mentally prepared. We had enough trail food, we brought protection from the downpour and we assigned ourselves a time deadline to reach the bunker. We reached the jump-off by 04:00 AM and after 20 minutes, we started the trek. As we reached the ascending rough road, my confidence on our plan began to rise. The pace we did was relaxed and in sync so we didn’t need much rest to recharge our batteries. The controlled pace was recharging on itself. Likewise, the packs we had were as light as it could be. Compared to last year’s almost 25 kilos, my bag only weighed 7 kilos. 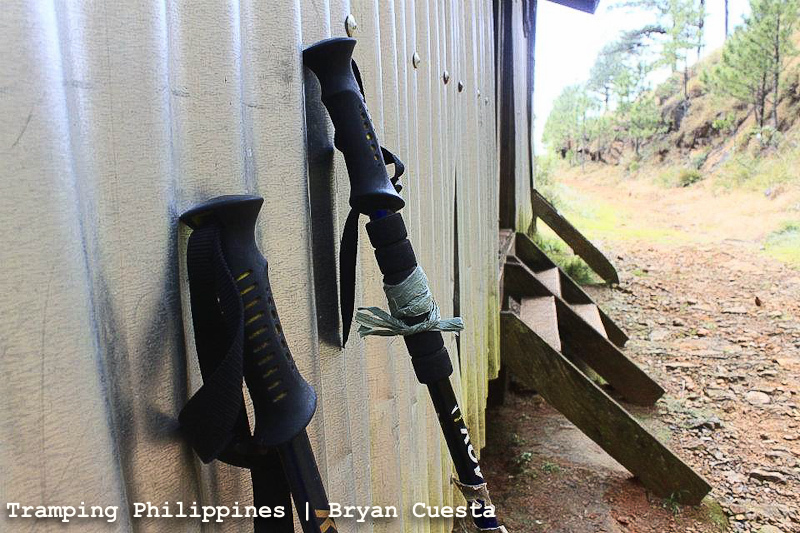 Undeniably, it helped us all throughout the hike. At 06:30 AM, as the sun was just starting to rise, we reached the first water source. 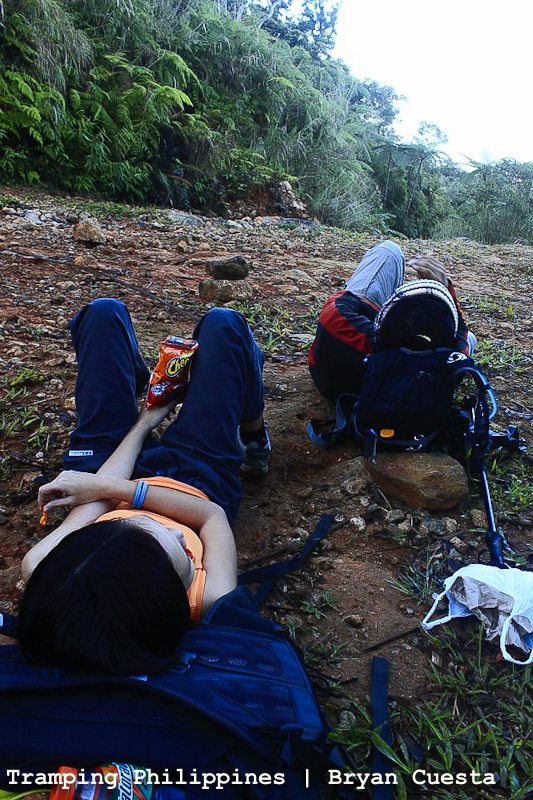 We took our first momentary rest while savouring the aroma of fresh air mixed with the misty mountain dew. It was just an easy hike like it should have been 1 year ago. It was peaceful and calm. The fear in my chest started to subside. I felt we could do this; that we could finish this by day’s end. Again, on a relaxed pace, we continued with the trek. Ironic as it might sound, the slow and steady walk was making our hike a faster one. After a few minutes, the heat started to envelop the area. Thankfully, the sun was strategically up at a place where we were covered by forest and pine trees. We reached the second water source after 3 hours and a half of hiking. The sun hidden by the canopy of trees rendered the trail a cold place to rest. We took another breather but this time it was a bit longer. The nature-gilded serenity of the atmosphere eventually lulled me to a peaceful unintentional slumber. After 30 minutes, we were back on our feet, ready to finish the trek. 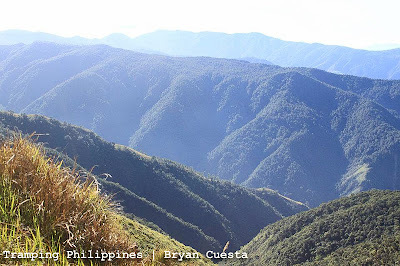 It was however quite disappointing that we reached the high peaks under the scorching sun at 10:00 AM. The sun’s heat was so excruciating that we had to take cover time after time just to protect our skin from burning. We were out of the frying pan but sadly, we dropped right in the middle of the flame. But like real soldiers of our group, we pressed on confidently. After 6 hours and a half of climbing, we finally reached the bunker campsite. Seeing the metal laden bunker from afar, a magical feeling overwhelmed my whole being. Little by little, my strength started to be rejuvenated. 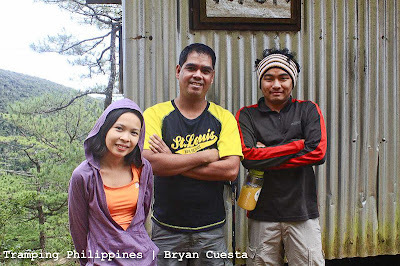 Our successful assault of the campsite was capped by a warm greeting from Kuya Jojo, the caretaker of the place. He waved at us and said, “diba kayo din yung umakyat noong isang taon?” With smiles on our faces, we politely answered with a resounding yes. We readied ourselves for a well-deserved hearty lunch and a long and peaceful hour of sleep. After our meal at the bunker, a familiar face started to join our conversation. The person shared with us their fast time of 4 hours from jump-off to the campsite. Though he was not bragging, there was this mysterious feeling inside my chest that I knew the man. After minutes of familiarizing, I suddenly had an idea but still, I had to confirm. I asked his name and in a moment of silence, I was overly surprised and astoundingly star-struck. The man was no other than Mt. Everest Summiteer, Sir Regie Pablo. Damn! He was so cool and very much humble. 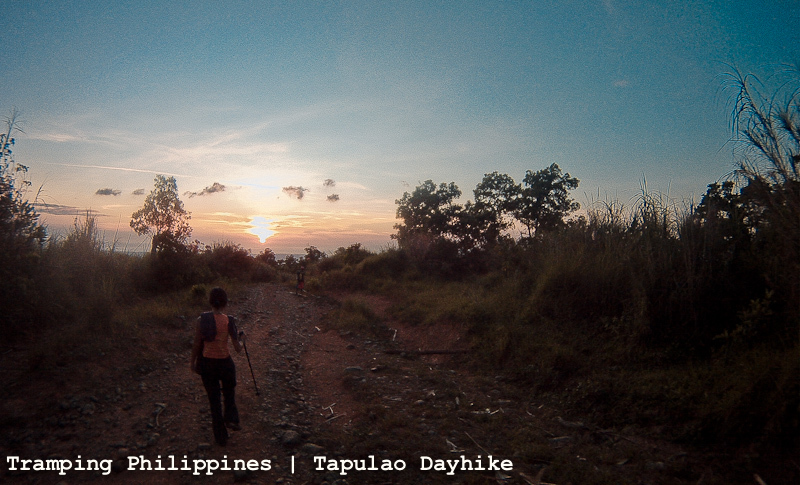 He told us the story of a Tapulao guide that didn’t allow him to take the traverse saying that the trek was very technical for him to try. 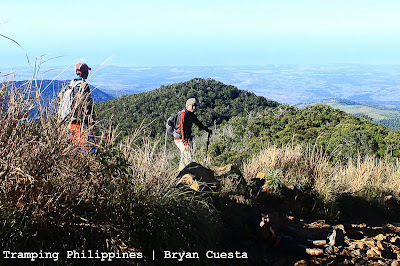 Sir Regie summited Mt. Everest and his guide had no idea but instead of bragging his achievements, he politely agreed with the person. We had a nice chat but the fan inside me started to take over. I asked if we could have a picture and fortunately, he obliged. I wanted to continue the talk but my battered body was asking for a short slumber. I asked Mang Jojo if I could take a nap at one of the bunkers and thankfully, he agreed. After an hour and a half of resting, we started our assault to the summit. With enough confidence in our strength to surmount the height, our great reverence for the mountain escalated. After 7 hours and a half, we finally finished the assault of Mt. 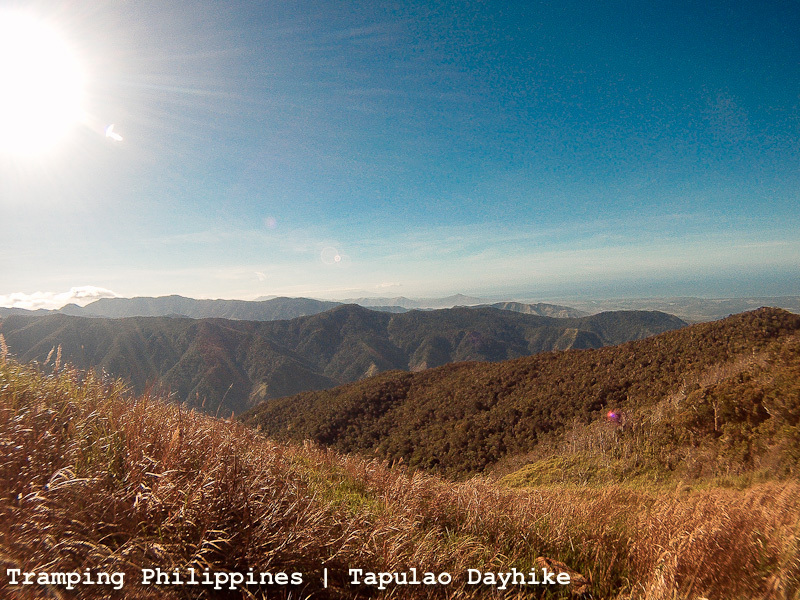 Tapulao’s highest peak. The vista at the top was covered with clouds but truly, I did not care. I just wanted to redeem myself from the past mistakes I made. I returned to this mountain a changed man, a respectful mountaineer and a more responsible person. As we hiked down to the bunker, we braced ourselves for a 45-minute long and winding downhill trek. The walk back to jump-off was however somewhat frustrating. It was not a physical challenge but more of a mental test. 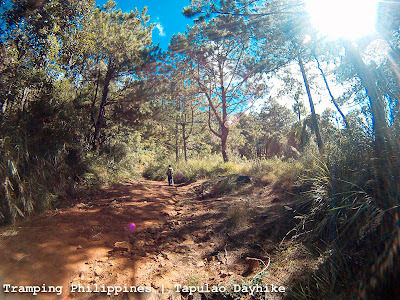 For 4 hours we were challenged by the rough and slippery trail path but still, we endured. By 06:30 PM, we were back at the barangay hall, looking forward to a sumptuous dinner at Iba, Zambales. What in effect did change in surmounting the same mountain? We sliced our trek time by half. How did we do it? First: Down with the weight. We only carried essential stuff for the trek. We didn’t bring anything that wouldn’t be used during the climb and we didn’t pack anything that was heavy. In conforming to this logic, we had set a deadline time to reach the bunker. Because we lacked shelter and cooking materials, we knew we had to back-out if we couldn’t finish the trek within the supposed time we arranged. Fortunately, we made it 3 hours before our self-appointed deadline. Another factor is by hiking on a relaxed pace. All throughout the hike to the bunker, we only had three 5-minute rests and 1 long 30-minute breather. 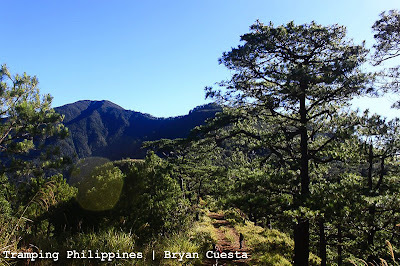 By hiking relaxed and slower, we reached our goal faster. And last but not the least, we were mentally prepared. We were aware of the circumstances that might happen during the climb so we prepared ourselves for the worst. That’s it! Finally, we redeemed ourselves from the mistakes we made in the past. I came here with fear lumped in my heart, but I went out unafraid carrying much more respect for nature’s gifts. It was a wild ride and to quote my fellow mountaineer and blogger, Christine Fernandez, Mt. Tapulao dayhike really is “Masakit na Masaya”. How to get to Mt. Tapulao. from Manila, board any Victory liner bus bound for Sta. Cruz. Ask driver to drop you off at Palauig, Zambales or to the jump-off to high peak. Board tricycle to jump-off. The terminal from the intersection always have tricycle drivers waiting. Just wake them up at the post. *Special thanks to Christine Fernandez, blogger of Jovial Wanderer, for inspiring us to do what they have done. Kudos! 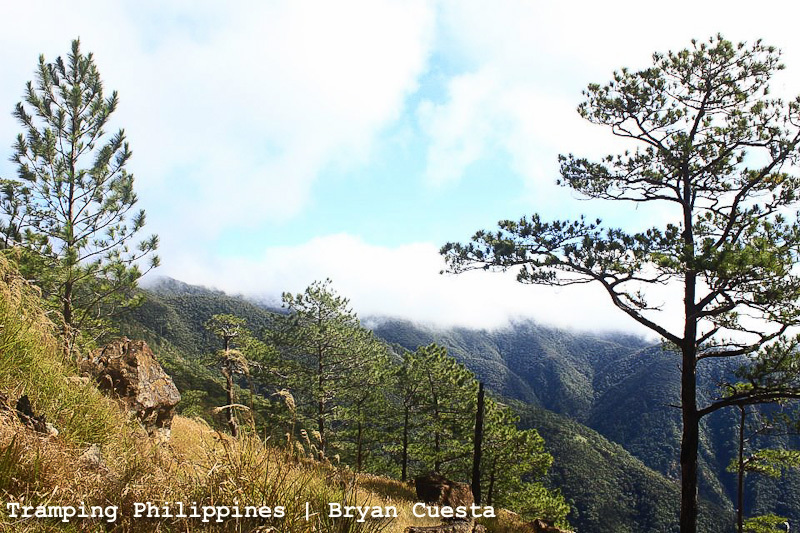 *Credits to our fellow climbing buddy, the friendless (joke) Bryan Cuesta for the photos! Redemption indeed right? great photos, greatly written post and of course, the IT speaks well of how prepared you and the group are. 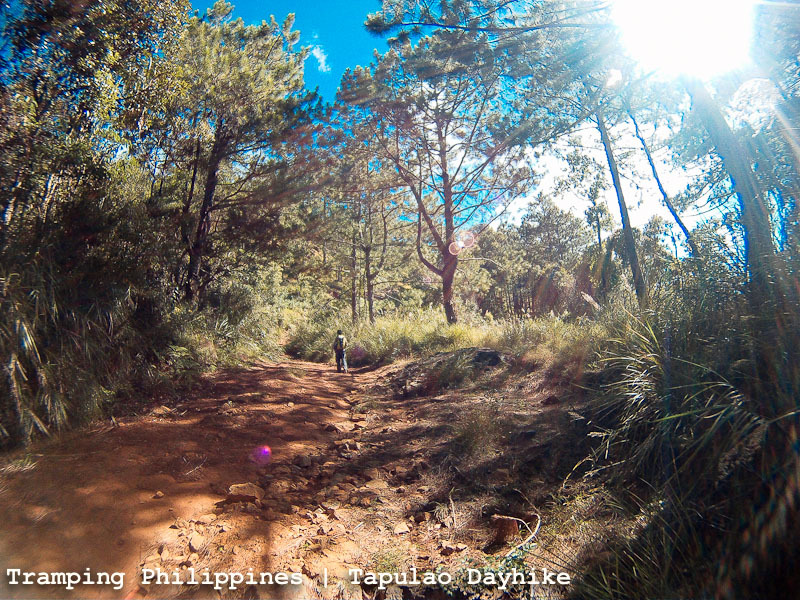 Ganda ng scenery and the photo an kuha na may sun, ganda. wow naman.. congrats at nagawa nyo na sya ng maayos :) grabe lang yung experience nyo last year. haha. oo nga e. buti nga sinwerte kami ganda ng weather. 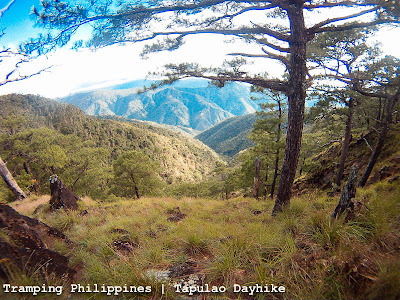 sa campsite lang kumulimlim. thanks! I'm a Jovial Wanderer reader...!!! 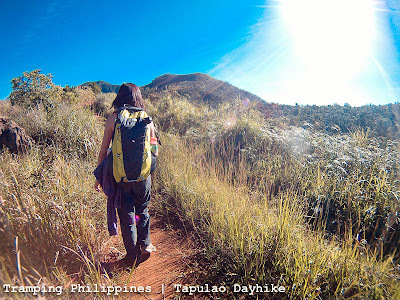 and yang Tapulao Dayhike na yan ay matagal nang namumuro sakin... tatakbuhin ko rin sya like what Ms. Christine did. haha. 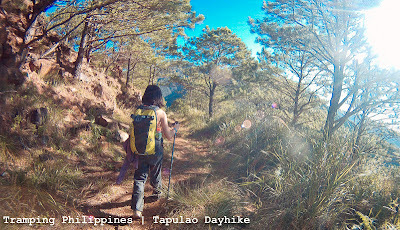 its doable actually with super wide trails. Just don't underestimate it! I think Even Christine herself had a hard time dealing with this dayhike. Pare parehas patay ang kuko namin after. haha. Just prepare for it mentally kasi super frustrating siya. 36 Kilometers all in all kaya parang never ending. pero kayang kaya yan!! 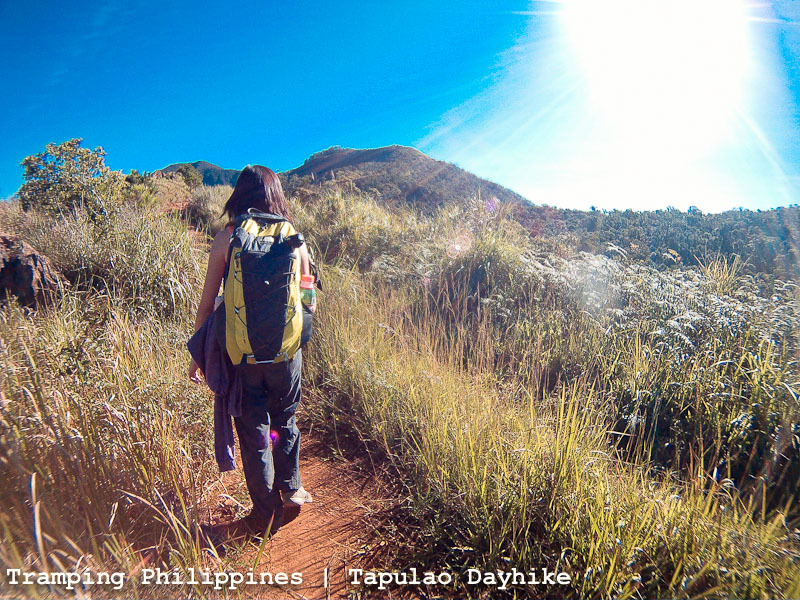 Godbless sa hike! Super sakit sa paa nito. 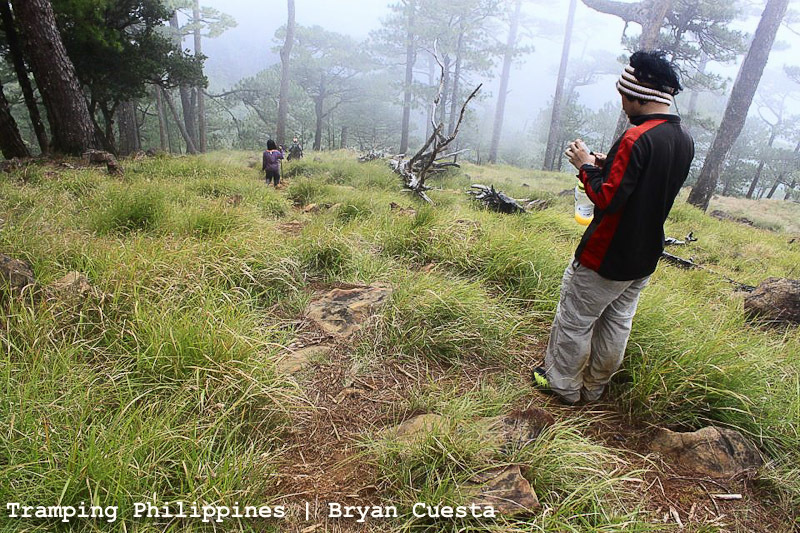 When preparing for this hike, choose your footwear well. That alone is a major factor that will make or break your climb. Kasi nga anghabang lakaran hehe. Ei BPS. yup. the small boulders would kill a soft sole shoe. haha. based on both of my climbs here. A tough sole really is a good help when ascending this mountain. More so on a day's hike. Congrats Dane and company!!! Masakit na masaya right? hehe, wow you got to meet Reggie. Nakakatuwa nga yung Everest team. I've spoke to some of them and lahat sila super humble. :) Truly an inspiration to people who are passionate with the outdoors. I like your post. Mapapadalas ako dito. Hehe. Thanks tin! susunod naman namin gagayahin si Adonis. sa March naman. tapos ewan ko lang to ah. I saw one of you blogger friends The Trail RUnning mistress! What is the nature of the "water source"? A spring? A puddle? Is the trail to the top well-marked? the water is from a spring but they put like a bamboo tube for easier access. The trail now is well marked as well as the water source. Nice sir, we almost had the same time. Godbless on you next trek! sir / mam open po ba bunker pra di na mag-dala tent? thanks at kung my bayad po ba? Walang bayad sa bunker but para tulong na din ngbibigay kami sa nagbabantay dun pag natutulog kami asa bunker. open naman ung bunker kaya lang limited din kasi ung rooms so ang mahirap if madaming umakyat tas me nakaoccupy na sa mga bunkers. 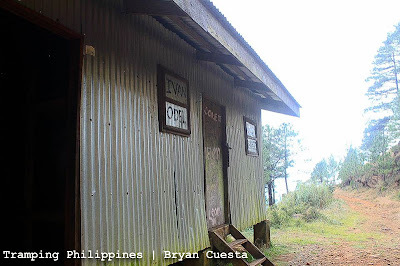 We also recently been there last Jan.21-22 but we camped at the first sign that you are nearing the descent to the bunker campsite, its the ''guard'' post looking house, our usual spot every time we chance upon hiking Mt. Tapulao..
ours was last january 15 i think. 1 week before. hope yo had a great time! Safe naman po sya kahit walang guide? Yep, safe naman umakyat ng wlang guide, dapat alam nyo lang ung unang turn para sa starting point then dere derecho na yung trail. you can ask the locals naman. But if you want a guide, meron naman din nakukuha sa brgy hall. 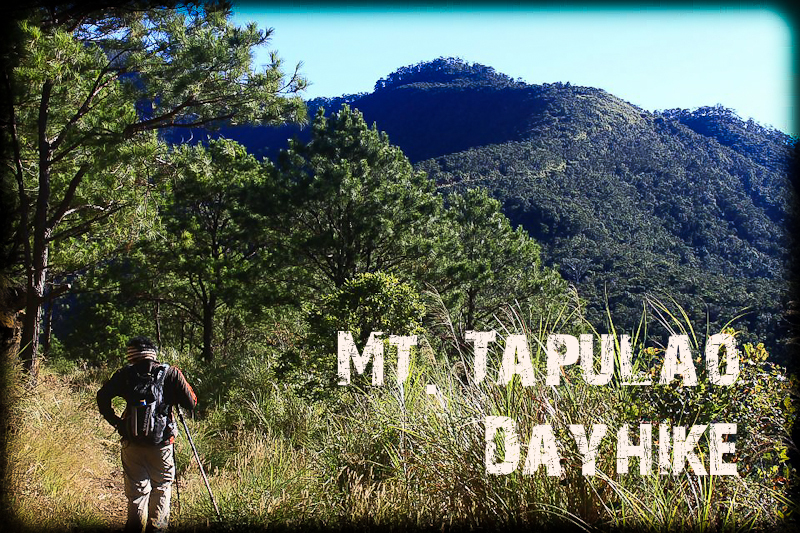 we'll dayhike tapulao this sunday. thanks for this wonderful blogpost. after reading this, i felt more kabado but more inspired. Goodluck with your hike and also hoping for a great weather! Thanks. Thanks for this post! We're planning to do a dayhike this Saturday. Sana maging okay. Good luck on your climb this weekend! Thanks.